Visit the distillery, featuring N.C. grown and produced Pot-Distilled Rums, Apple Brandy and No’Lasses sorghum cane rums, as well as a selection of port wine and fruit Tippers. Local craft beers on tap. Tastings available for $6 and include a souvenir glass. Distillery tours are available each day we are open. This is a fun walk through of a working distillery and winery. 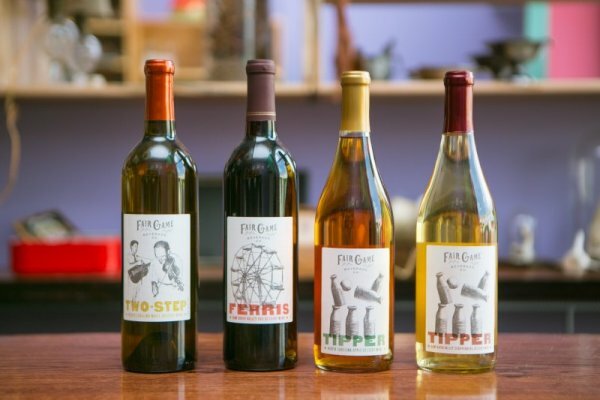 On the tour you can learn about the processes that go into making the great wines and craft spirits at Fair Game. If you really want to get into the details, be sure to come on Friday nights for a tour from our head distiller himself. Tours typically last 25-30 minutes, and are followed by tastings. Overnight packages with any of the five inns on the Heart of NC Trails: Stay at one of our B&B inns and receive a free tasting for two at Fair Game, plus 25% off case of wine. Receive certificate for tasting at B&B upon check-in. North Carolina’s 13th distillery. Visit for several upcoming events. Part of the Heart of North Carolina B&B and Craft Beverage Trail. Tastings available for $5 and include a souvenir glass.